SiriusSat-1 and SiriusSat-2 are two Russian educational 1U CubeSats. The scientific and educational satellites were assembled by schoolchildren in cooperation with SPUTNIX specialists on the basis of the nanosatellite platform OrbiCaft-Pro developed by the company. 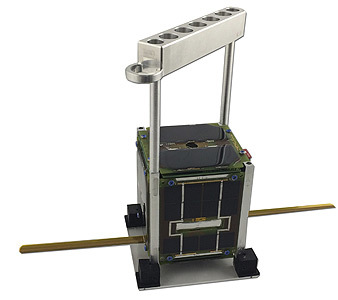 The platform has a standardized international standard size 1U CubeSats. The satellite SiriusSat have been further developed to meet the specifics of launch: they have a handle for launching an astronaut, flexible antennas, a system for the manual activation of spacecraft, and also equipped with specially designed protective quick-release covers and soft shipping containers. The weight of each satellite is about 1.3 kg. The payload of the satellite is a space particle detector for studying "space weather". The sensor was developed by the Research Institute of Nuclear Physics of the Moscow State University and was assembled with the participation of a group of schoolchildren from the Sirius Educational Center. Roskosmos helped in organizing free-of-charge sending to orbit within the framework of the corporation's program for the free launch of Russian school and student satellites. Subsequently, it was decided that two identical spacecraft - SiriusSat-1 and SiriusSat-2 would be launched into space at once. The satellites pass to RSC Energia additional checks before being sent to the ISS. The launch of two satellites to the station took place on 9 July 2018 on board the Progress-MS 09, and they were deployed on 15 August 2018 during a spacewalk.